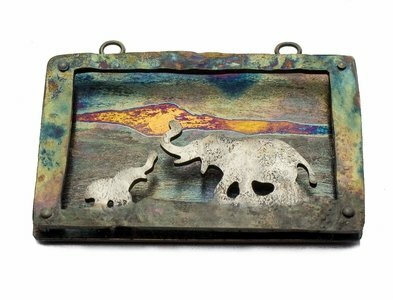 After looking at pictures of the Serengeti including baby animals with their mommies, I was inspired to create a limited edition collection of layered pendants. Created in silver, bronze or copper, each piece is hand-pierced (just the saw and me! ), textured and oxidized. Some are fashioned with beaded chains and others on handcrafted chains. Each one has its own unique qualities - just like you!